Great graphics work and final product. 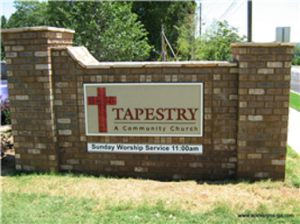 Monument signs are often found at the entrance to churches, schools and corporate facilities. This type of sign creates an impressive welcoming entrance for all of your visitors. 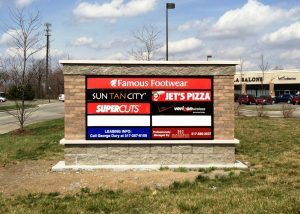 A monument sign is typically constructed of brick, stone, marble, metal or concrete and includes your company’s name and logo along with any other information that you want to be added. This free-standing sign is often constructed with materials similar to your company’s exterior and uses complementary lettering to ensure a cohesive look. 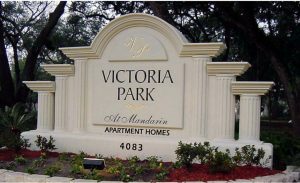 We will work with you to develop a high-quality monument sign that is eye-catching and beautiful. Call Kanban Signs today at (619) 503-3634 for a Free Consultation with a Monument Sign Specialist! 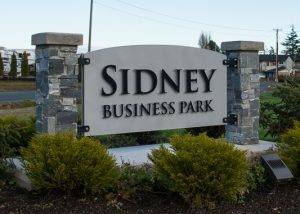 A monument sign can be used for a number of types of businesses. These beautiful signs can create a lasting impression on visitors passing by. The quality of this sign creates a sense of permanence and longevity of your company. Monument signs are usually eye-level, which means no support structure like a post or pillar is needed. Because of this, your sign is not subject to the degradation, weathering, and aging that other types of signs face. This increases the lifespan of your sign, making it a perfect choice for your company. If you are in a shopping center, business park or other location with multiple businesses, a multi-tenant sign may be the best choice. This type of sign allows every business within the facility or center to list their name. Additionally, a monument sign can be used at manufacturing facilities and corporate offices. If you want a beautiful sign that creates a sense of longevity and interest for your company, then a monument sign is the best choice. We custom make each monument sign to create one that is based on your specifications, budget, and needs. 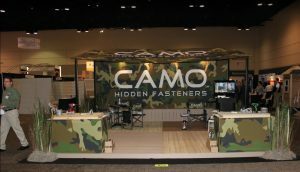 We have a number of size and material options available, which enables us to create the perfect sign for your company. Whether you want a simple, smaller sign or an elaborate large monument sign, we have the skills and expertise to make it happen. Kanban Signs is locally owned and will create gorgeous monuments signs to promote and enhance customer awareness of your business.